No contemporary writer blends genres better than Geoff Dyer, and his latest novel  a vigorous mash-up of satire, romance, travelogue and existential treatise  is his best yet. The first half trails a hack British journalist around the Venice Biennale, where he interviews a reclusive artist's muse and falls in lust (possibly love) with a comely American. In the second half, a British journalist  the same guy? 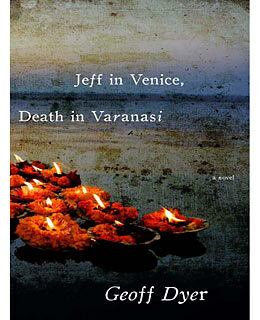 We can't be sure  travels to the holy city of Varanasi, India, where he falls in lust (possibly love) with the idea of detachment. Dyer excels at savage comedy  see his tableau of jaded art critics desperately swilling Bellinis  but he's even better on the profound pleasures and indignities of the flesh, which are the forces that unite his novel's two very separate worlds.